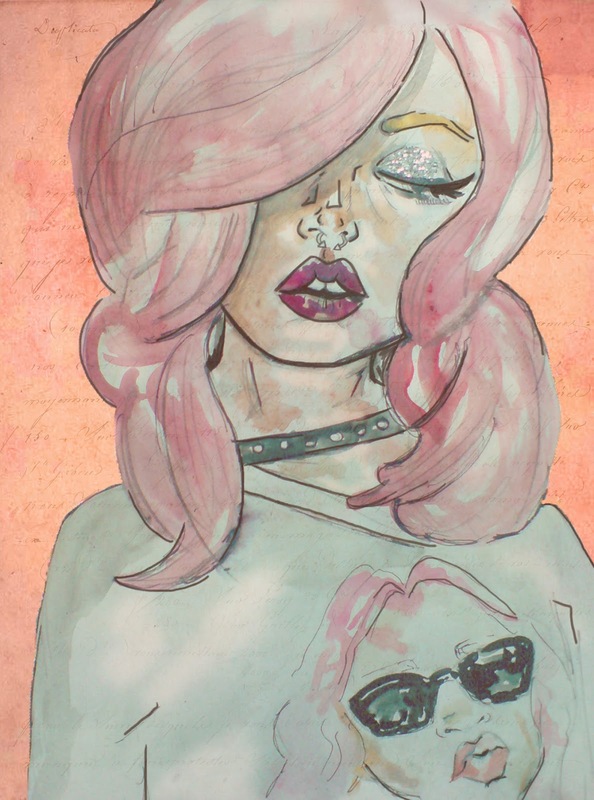 I really love pretty much everything from Wildfox, so when I saw this photo I thought it would make a cute painting. This piece was originally done in watercolour and pen, but I added a few extra details in Photoshop, and just tidied it up a bit. I'm really pleased with how it turned out, especially the touch of glitter on her eyelids! Thank you so much! It was really fun to paint with the glitter! this is such an amazing drawing! Aaw thank you! That's really kind of you to say.